Let’s talk E books, and I’ll give you 10 reasons you should create your own E book ! But don’t freak out ………..it’s not difficult! Were not in competition here, and there is absolutely no reason to be a professional writer or English major to convey helpful and valuable content to your audience ! So lets’s talk about the massive amounts of leverage that you can bring to bear in an online business with the creation of your very first E book! So what is an E Book ? E books can take many forms. You can get countless novels on E Book so that you can read them on your Desktop, Kindle or other device such as a phone. There are also much less involved E Books that offer answers to questions and cater to the needs of a niche market. Most of these books are simply a means of using 10-30 pages to convey your thoughts to a niche audience with one main subject that you are trying to help your reader with. Your E Book can be a 10-30 page Word document where you give some important how to tips to your readers. If ypou want you can convert it to a PDF or leave as is. Add an E Book cover to it to make it nice by using Corel draw or another CAD program, or use the simple tools on an online free E Book cover site, which works really well ! 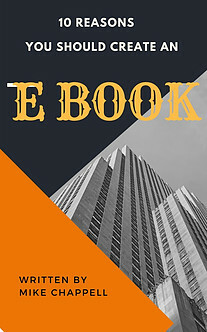 E Books are no more complicated than writing content for a blog, and in fact, I have written one E Book that is 6 Chapters long and each of the Chapters is a blog post that has been cleaned up and re-formatted just a little to cut down a little on white space and make it a book. It took about 8 hours over a week’s time and is something I’m proud of. But not only am I proud of it, I plan to use it to help other people and use it to my business’ benefit at the same time . The reasons to create your very own E book are many! In fact, I have a list in front of me that is 29 items long. But I will condense that to a list of 10 so that this post doesn’t turn into a novel ! Selling products is the essence of online business, not trading 1 for 1 in time and money, because you have a limited amount of time and therefore you will have limited money or income. You can sell your E Book on Click bank or use it as a foundation for a bigger offer you create , and have unlimited earning potential! And through that E book you can create multiple income streams. Creating an E Book offers something that you seldom see in any business. A 100% profit margin ! You can create an E book pretty much for free, and regardless if you sell 1 copy or 10,000 copies the overhead stays the same. Zero! ! And that makes an E book a completely risk free business opportunity ! 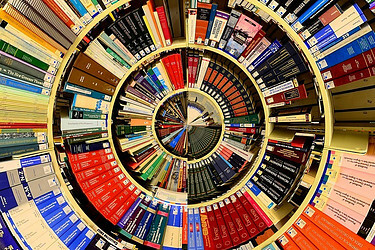 E Books can establish you as an expert in a niche by giving instant gratification to the person receiving it! You can access a huge global market with a free to produce E Book ! You add value to people’s lives by giving them solutions and valuable info ! E Books give you massive leverage! 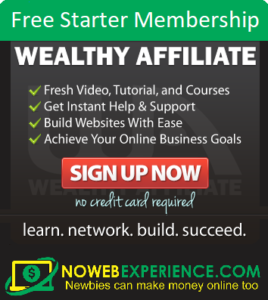 You can leverage the internet, an army of affiliates to sell it, Ads, E mail lists, your self and your knowledge to people around the world! You can work on an E Book at home. You are selling a product, but there is no need for a warehouse, employees, postage or shipping . You can totally automate the selling and use of your E Book and start making a passive income fast ! There is very minimal skill involved. Most people who fear the prospect of writing their first E Book usually write another shortly after completion of the first one, because they see how easy it actually is, and their unfounded fear in the beginning is gone ! So you see, it’s a big deal to write an E Book and it can remain profitable for years to come! You can pay a small amount for a vendor account at Click Bank.com and use an army of affiliates to sell your E Book. It’s true that the affiliate will make 50-75% of the money. But you do absolutely nothing but cash the checks on the other 25-50%! That’s a really good gig there ! If you sell your E book for $27 and affiliates move 5000 copies in the first year, and you only get $12 per copy, that’s $60,000 for creating a free E Book ! 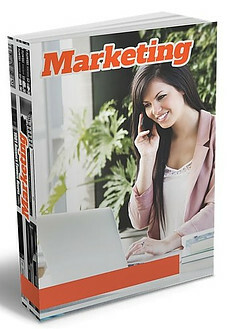 When you post the E book for sale on ClickBank, you can also offer it as a freebie offer in building an E mail list. Just have your sales page or popup state that you are selling this E Book for $27, but it can be yours for free for signing up for future offers or a news letter. So you can sell the e books and use it to grow your E Mail list at the same time! So you see creating your own E book is as simple and profitable as anything you can do right off the bat! 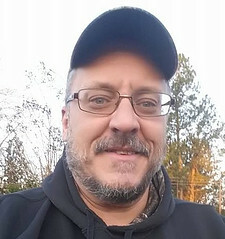 There is an author of many e books who wrote one 8 years ago and made over $80,000 the first year just off his E Book and has made a passive income that averages $2,300 per month every month since, with no sign of slowing ! So How do You create your E Book? Like I said earlier, an E Book is simply a list of 10 blog posts on a central theme that offers value to the reader and helps them solve a single problem. Patt Flynn at SPI has some wonderful information considering the creation of E books that I would strongly suggest to anyone ! You can create it as a word document or there are free and very cheap online resources for creating E Books. They even have templates for the covers and such. It sounds crazy, but you almost can’t fail writing an E Book. And if by chance your first E Book bombs and you sell none. You have lost nothing. But you still have a freebie to grow your E mail list which can be extremely valuable in its self! The likelihood of a quality E Book completely bombing is very unlikely, but anything can happen. The opportunity for such free success far outweighs the likelihood of failure. And if it happens you can create another one and another one ! If you create your E Book it will help your standing and over all business, even if you just put it on your website as a subscription freebie ! So get to work making notes ! If you are in need of assistance I’ll supply some helpful links to make the job even easier. The list goes on and on. Simply google the search term “create e books and let er rip! If you are having issues getting started you can buy PLR E books. PLR E books and other offers give you the rights through “Public License Register” to change the content, change the cover, change the authorship name and put yours on it, and keep 100% of the money earned with it. You can do a google search for “PLR Wholesale” and buy a single book for $3.99 or groups of 10-15 books for $14 or so. You can do the same with home study courses and many other items. You may need to change some content to male the point you are after, but they can save you a lot of time. If you decide to go the PLR route I suggest reading the E Book first and getting an idea of changes you want to make ahead of time. Then go back through it and change the content, Images and such to suit your needs ! For more information you can learn more about the proper use of PLR materials by checking the link, or simply doing a Google search! Before leveraging the contents of a PLR -Ebook! To be simple and to the point, PLR stands for Private Label Rights. Since many of these e books have been used over and over again, it’s best to simply use it as a layout and organization tool for adding your own content! You need to add a bit of you, and your input to the PLR material to make it yours . And by all means never copy from any PLR material for posts/ articles that will be subject to search engine ranking scrutiny ! Not just that one post, but your entire website can be damaged for duplicate content by the algorithms that crawl content such as the ever changing algorithm that runs the Google search results! There are Content dos and don’ts and PLR content is a major DON’T! Why not go for it ? There is absolutely nothing to lose and everything to gain by creating an E Book ! It is the number one thing you can start on and be successful at while you are waiting for your Google rankings to improve. 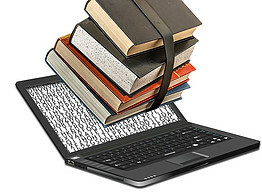 Writing is a huge part of online business and E Books are no different! The biggest difference is the potential benefits that are waiting for you. As a newbie to online business you should be getting things going by starting your e-mail list and an E Book will be super helpful with that task as well ! It’s free and It’s not difficult. But it can be a big part of changing your online business and your life ! Thanks for reading ! If you have comments or questions please leave them in the comment section below! I appreciate any and all comments ! Have a great and blessed day ! Yeah, writing and selling ebooks is a great way to earn money online. I think most people just fear the idea of writing a book and that’s why they never try it out. Like you’ve said, once you try it, you will realize there’s nothing to fear. Passive income is the greatest kind of income. You literally don’t have to do anything about it if you’re off to a good start with this. You don’t need to own any inventory, you don’t need to ship anything… All you gotta do is create it and let it do its work! Thanks for your post Donny ! An online business is still the best way for the average person to make a part time or full time income oonline. And if you are willing to put in the work, it can be so much more. Affiliate marketing is perhaps the easiest form of online business. And E Books are the easiest form of leverage ! That means 3 points to make a case for E Books to be the average person’s best shot at making online money faster ! Hey. I run a blog and I have a few visitors a day and I would like to start promoting my own product. And I’m just thinking about creating an ebook. I wanted to learn some tips and your post helped me a lot. It’s nice that the ebook puts me immediately in the position of an expert in a given niche. Thanks. Thanks for your kind comment Michael ! There are tons of really good reasons to create an e book ! I made a list of 21 and used the top 10 . In fact I have an E book coming that will lay out the entire 21 reasons and ways to leverage e books in your business ! Publishing book is now a very simple thing to do and all thanks to Amazon Kindle. Everyone can have access to it if they are connected to the internet. Being in digital format it is readily available to anyone that is willing to purchase it. You can also buy it in physical format. Gone those days where you have to find publishers that are going to consider publishing your book. Now the bar is lowered making it easy for everyone to publish a book. The best part is that you will still get sales after the book is published which is one form of passive income. Thank you very much for your comment ! I’m working on my second e book and it’s fun! I will have 1 e book to build an E mail list on each of my 2 niche sites. Things are about to really start growing !